Korean celebrities will always be the centre of attention when they either arrive from overseas or departing Korea and hence, it is important for them to dress well and look good especially when they know that the reporters will be snapping their pictures. 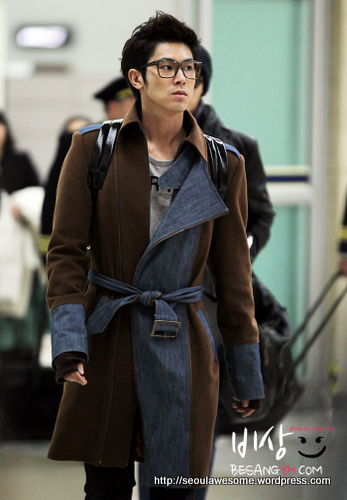 Let us take a look at some of the most popular Korean stars right now with their awesome airport fashion (공항패션). 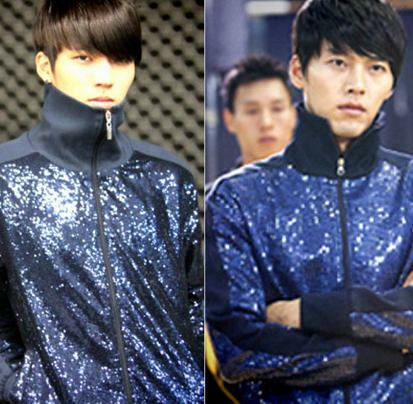 In the drama, Secret Garden (시크릿 가든), Hyun Bin (현빈) wore a sweatsuit which became a hot topic in search engines in Korea. Although the sweatsuit is infamous for being gaudy, it seems that netizens show a great interest with the sweatsuit. Even pop idol group INFINITE (인피니트)’s member, Woo Hyun (남우현) wore the nicknamed “Italian hand sewn” sweatsuit.